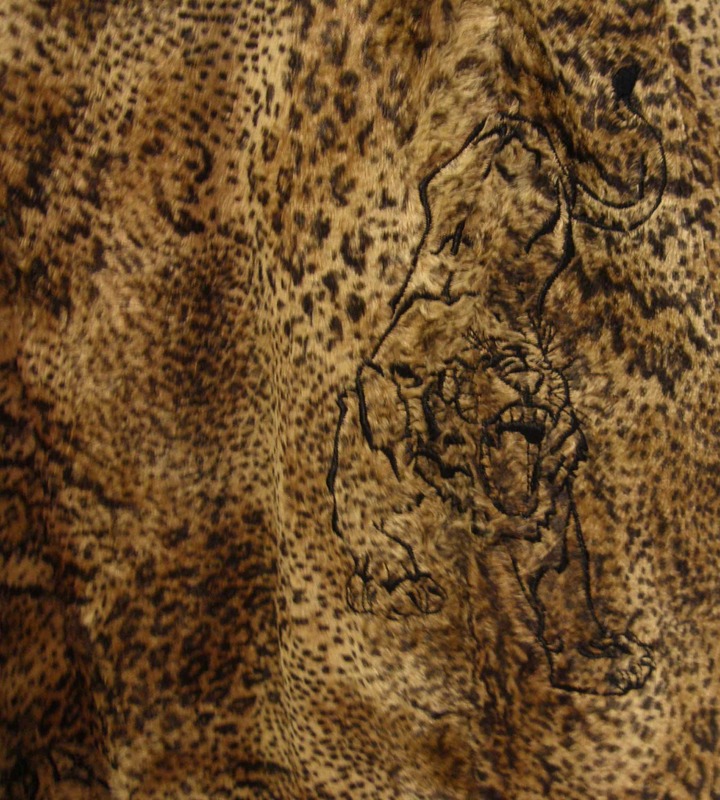 Ghost Embroidery is the technique of hiding an animal embroidery design in the print of the faux fur, so that you have to look for them. It is really cool, kind of like a “Where’s Waldo”. When someone sees the fashion piece, whether a vest or a pillow, people will admire it, but then all of a sudden they start staring at it because the hidden animals start to take shape and pop out. This makes a very elegant and unique look. Faux fur and animal prints are the rage on all the runways, take it to the next level by bringing the fur alive. 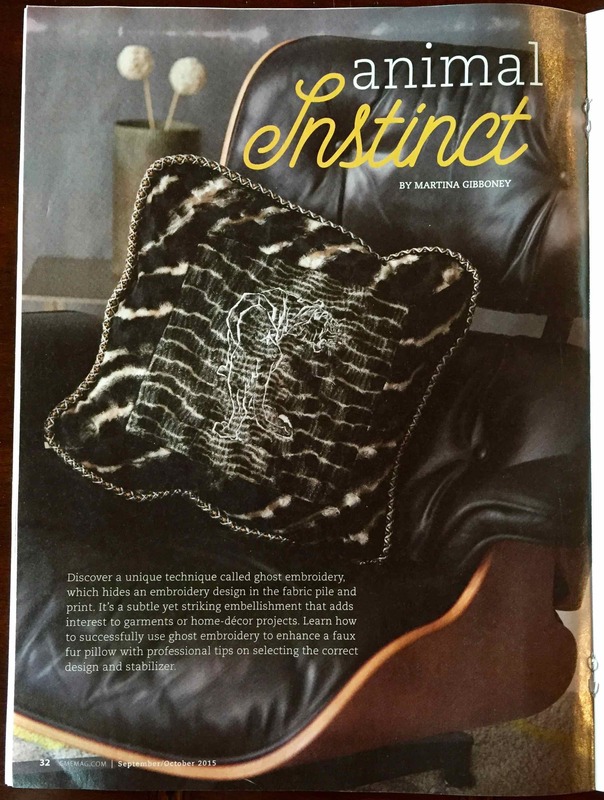 In the article there are step by step instructions on how to make your own pillow, allowing you to create your own design. Featured also is my couture vest I made when I developed the technique. Here are a few couture details on the vest that are not in the article. The vest started out as a challenge from American Sewing Guild, City Wide Couture group. Everyone was challenged to make a vest. I don’t really wear vests so that was the beginning of the challenge. I thought back to my mom, she had made a faux fur vest back in the late 50’s that she wore into the 60’s. I found it in her closet and wore it a few times in the 90’s and I loved the idea of recreating it, and taking it to another level of design. 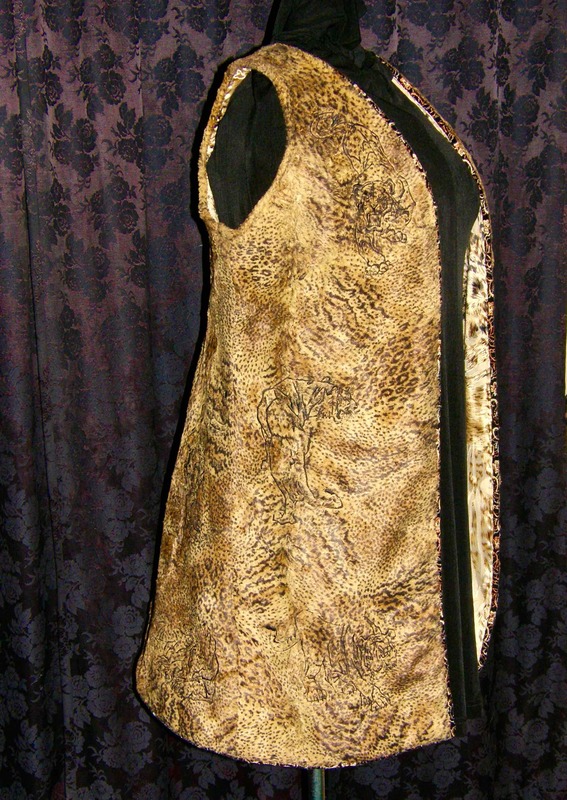 The selection of faux fur at Gail K’s was gorgeous, I settled on this low pile leopard print, and a burned out silk as the lining, adding two underlinings a cotton lawn to the fur side and a silky rayon to the lining side. The fur was soft and real feeling so I began thinking about how I could make the fur even more realistic, and that’s how I started to develop the technique. 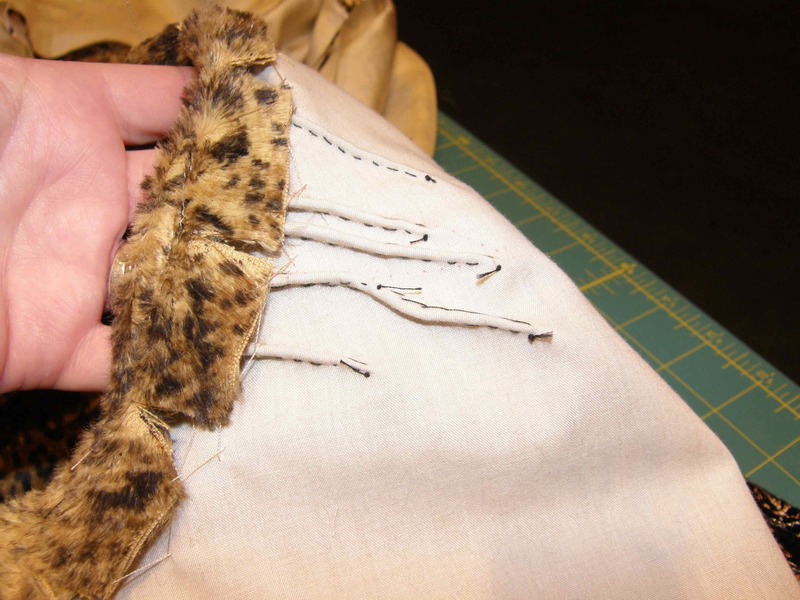 Couture finishing technique – All the faux fur seams are finished with a hand sewn catch stitch attaching them to the cotton underlining so they stay flat. The piping was made from an embroidered ribbon trim that was sewn over a cord and hand sewn in place. 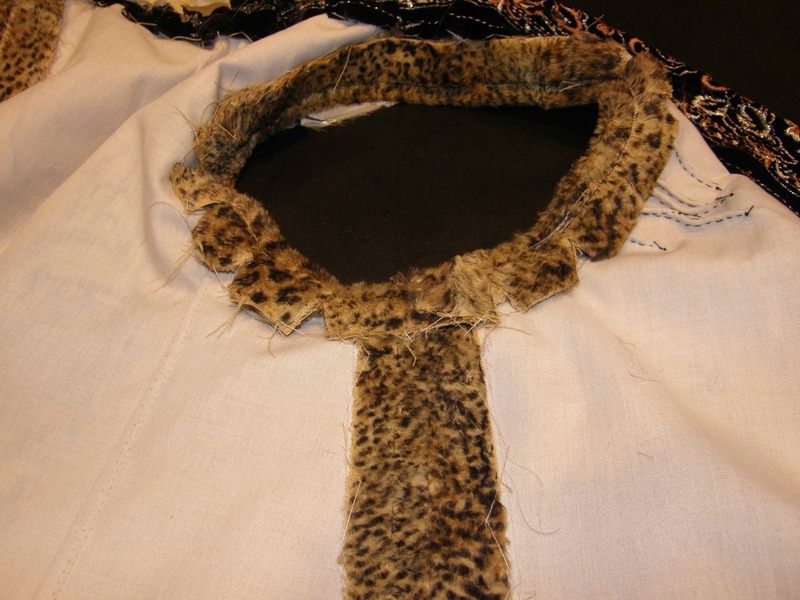 The armscyes were piped in cording covered with the faux fur, so it would finish the armscye but not distract from the design of the vest. All seams hand sewn with a catch stitch to the underlining. One large dart created a weird bulky look on the faux fur, so I hand sewed tiny darts at different lengths to create the fullness needed without distorting the faux fur. 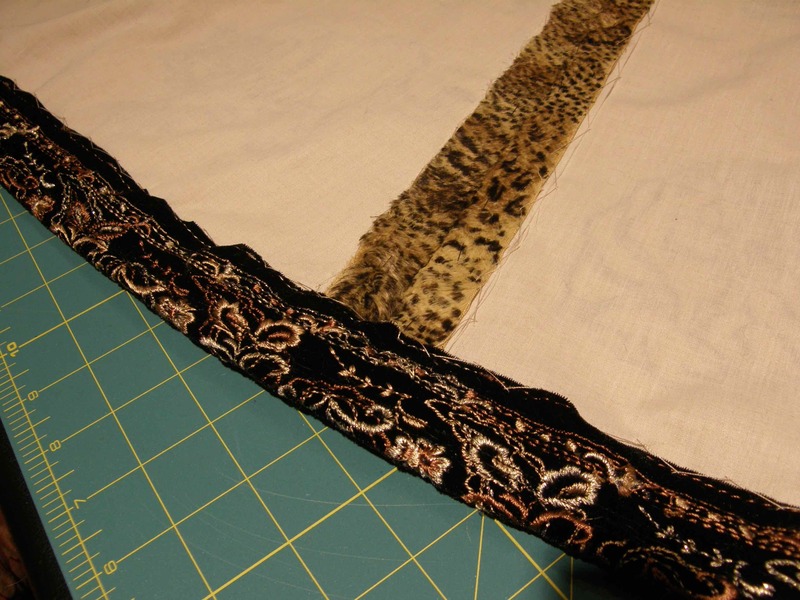 The silk lining and rayon underlining were hand sewn to the faux fur at the piping cording line. 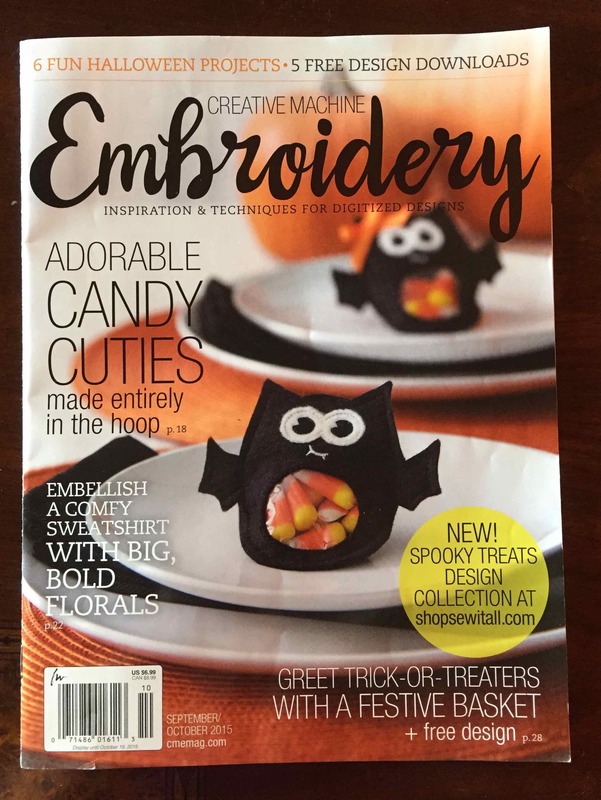 Look for Creative Machine Embroidery on the newsstands or order your hard copy or digital copy today, to read and learn how to create Ghost Embroidery. It is a cool technique and it is really fun to watch people take a double look as they see the animals come alive. This entry was posted in Couture, Embellishements, Embroidery, Home Dec, vest and tagged American Sewing Guild, Couture, couture techniques, creative machine embroidery, Embroidery, faux fur, Momo-Dini. Bookmark the permalink. Wonderful look and technique! I love the vest, and the aggressiveness of the cat embroidery is perfect since it’s subliminal. Yes, Martina what can I say? Beautiful! 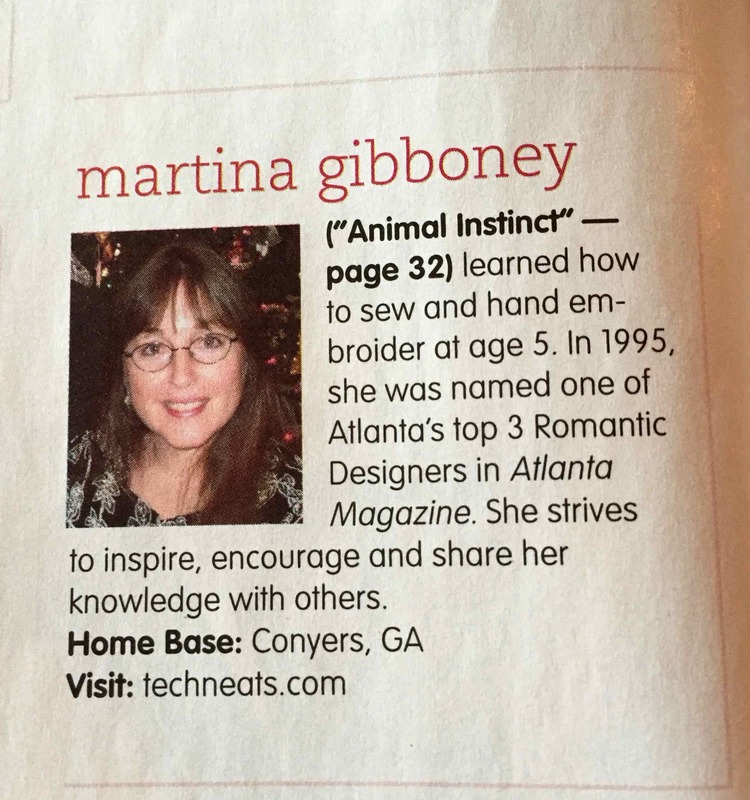 Awesome Martina, I have seen the vest in person it is stunning, you are.so talented.